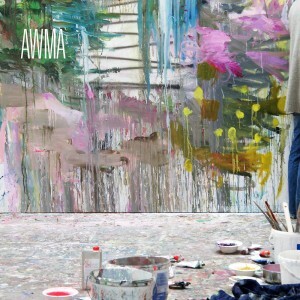 AWMA's Brilliant Debut EP Out Now! AWMA’s Brilliant Debut EP Out Now! We’re super excited to announce the official release of the debut self-titled EP from atmospheric rock trio AWMA. The band dynamic that Conor and Eimer Devlin ([the] caseworker) and Jason Lakis (The Red Thread, Mist and Mast) have cultivated over the years of touring and playing together as Half Film has been elegantly renewed on their debut EP. This melodically charged music, akin to the early pastoral side of Pink Floyd, exudes intensity and emotional resonance. What else would you expect from such heritage. The AWMA EP features the single ‘Broadcast History’, which prowls relentlessly around a circular guitar refrain, gradually building in intensity as Jason Lakis’s expansive guitar effects and Conor Devlin’s incantatory vocal colour the stereo field with portent. AWMA take the space, weight and atmosphere of Half Film, and inject instrumental details and a gentle shift in tempo from their slowcore origins. Get yourself a copy of the EP via AMWA’s BandCamp. The EP will also be available via iTunes, Amazon and Spotify et al later next week. Expect a vinyl release early 2016.